Salzburg has more to offer than just classical music. The city's nickname Festival City tends to overlook the fact that excellent theatre companies stage productions here all year round. You'll see there's something for everyone – from the great classics at the Schauspielhaus and State Theatre to new pieces or dance performances at one of the other theatres. The Schauspielhaus has big plans for the coming season with Georg Büchner, Max Frisch, Elfriede Jelinek and Thomas Bernhardt. But this is exactly what we have come to expect of this first-class theatre in Salzburg’s Nonntal. 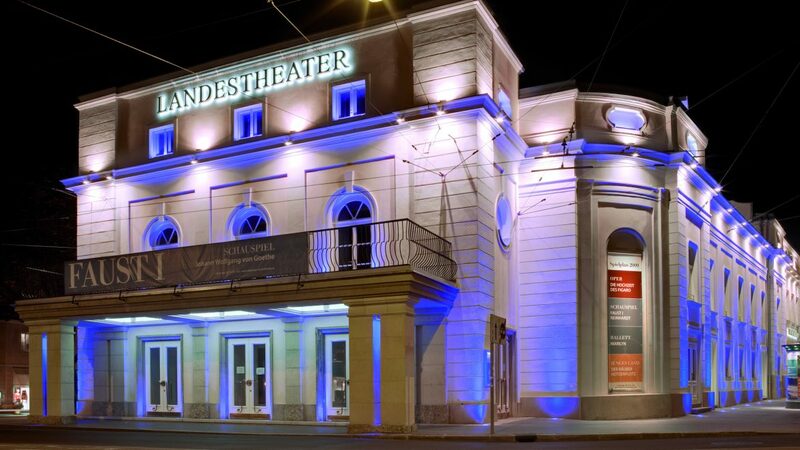 As the largest independent theatre company in Austria, this theatre (formerly Elisabethbühne) has been putting on a wide variety of plays for nearly 60 years – ranging from the great Greek dramas to young Austrian writers. Some of the actors have even been trained at its own school, which in turn has a positive effect on the performances. If you’re looking for first-class theatre in the city of Mozart, then you should take a look at their programme. The Baroque hall in the State Theatre (Landestheater) with its many small balconies, decorated ceiling and mighty chandelier is undoubtedly one of the most stunning stages in Austria. It not only puts on theatre, but also opera, ballet and even theatre for children. From the Iliad to Schiller’s Don Carlos through to Brecht’s Rise and Fall of the City of Mahagonny, their repertoire for 2016/17 will have theatre-goers wanting more. The State Theatre has also made a name for itself by staging several world premieres of Thomas Bernhardt’s work, who is also from Salzburg. And if you love “The Sound of Music”, then this is just the place for you, too. Simply put on your evening dress and head off to Salzburg State Theatre at Mirabell Gardens. If you think that puppets are only for kids and fans of the Augsburger Puppenkiste, then you’ve probably never been to the Marionette Theatre. This Salzburg institution housed in beautiful Baroque rooms next to the Mozarteum on Schwarzstraße is one of the world’s best in puppetry. A look behind the scenes shows why. They are passionate about everything they do – from carving and making the puppets to pulling the strings. 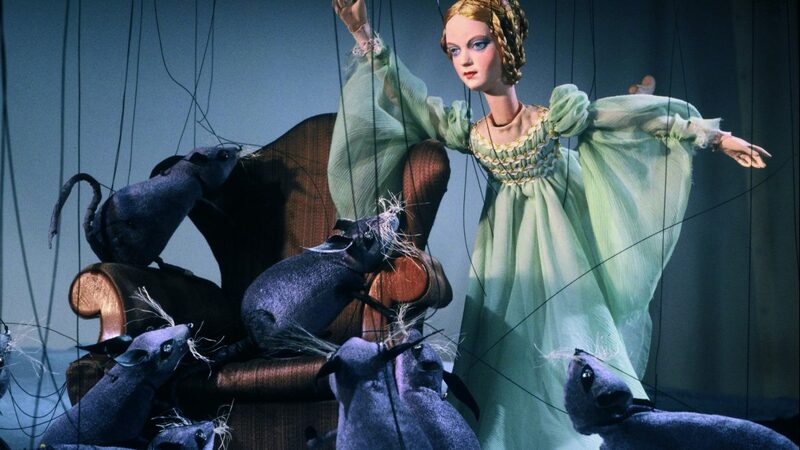 You’ll be surprised at how much personality the puppets have, implied solely by their gestures and movements, at times even more than some proper actors have. The Magic Flute performance is always worth a visit as is the obligatory Sound of Music. The Marionette Theatre is an ideal way to gently introduce children to the world of opera. The Kleines Theater, home to the independent theatre scene, is housed in a rustic vault right next to Urban Keller and has been an integral part of Salzburg for 30 years. Many great cabaret artists such as Josef Hader were very successful here when the theatre first opened. It still stages cabaret as well as theatre shows and music concerts. The Toihaus is not that well-known in the theatre scene, which means it can be independent and free. The stage is not very big but locals and tourists enjoy its innovative productions. This is the place where, according to their own statement, “dance, language, music, mimic art, visual arts and new media” come together. If you want to see a unique performance that will give you some food for thought, then go to Toihaus on Franz-Josef-Strasse. Find out more about theatre productions in Salzburg and SalzburgerLand or simply visit one spontaneously. There’s something worth seeing practically every day of the week.